The Whitsundays, where beauty and adventure go hand in hand. Seventy- four islands surrounded by calm waters in many shades of blue, stunning white beaches and secluded bays with rainforests as their backdrop. The colours of the fish and coral will have your senses in “overdrive”. The sunrises and sunsets are magical and the stars, the brightest you have ever seen. 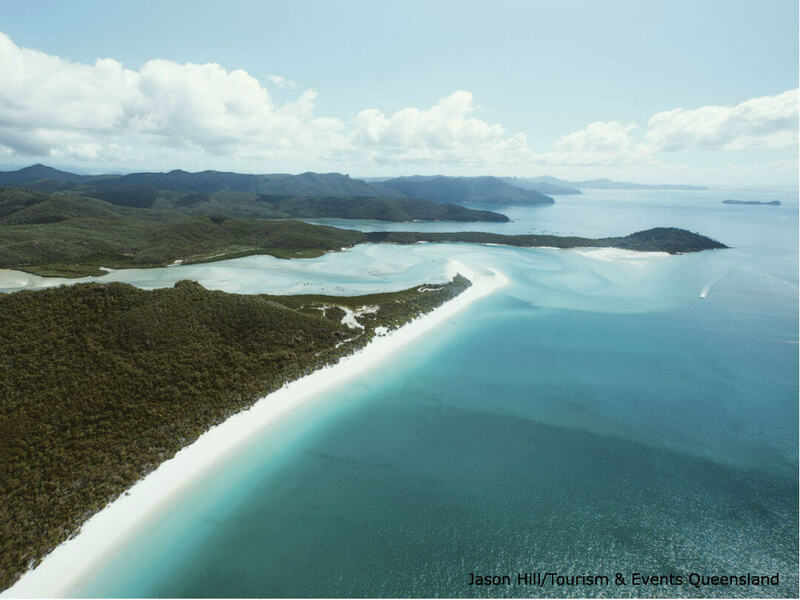 The must see locations are Whitehaven Beach, Hill Inlet, Heart Reef and everything in between. On the northern end of Whitehaven Beach(situated on Whitsunday Island) is Hill Inlet, a stunning cove, where the tides move the sand and water to create the most surreal palette of beautiful colours. The best place to see this view of a lifetime is from Hill Inlet Lookout, accessed from Tongue Bay. 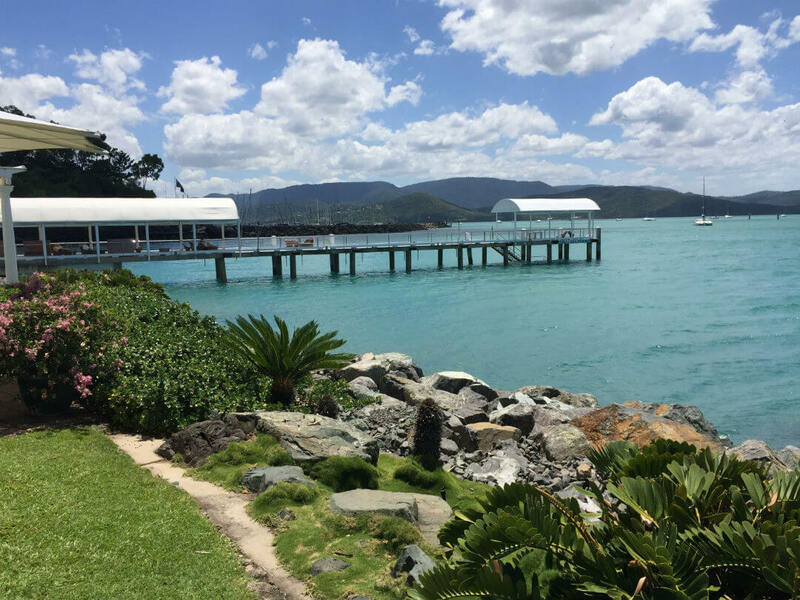 Another way to see and do it all, stay at Airlie Beach and take a fabulous Airlie Beach Reef Trip, there are plenty to choose from. 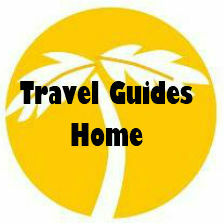 They pass by many of the islands and resorts such as Hamilton Island, South Molle and Daydream and there are others! Two Airports service the region, one at Hamilton Island (HTI) and the other at Proserpine (PPP). 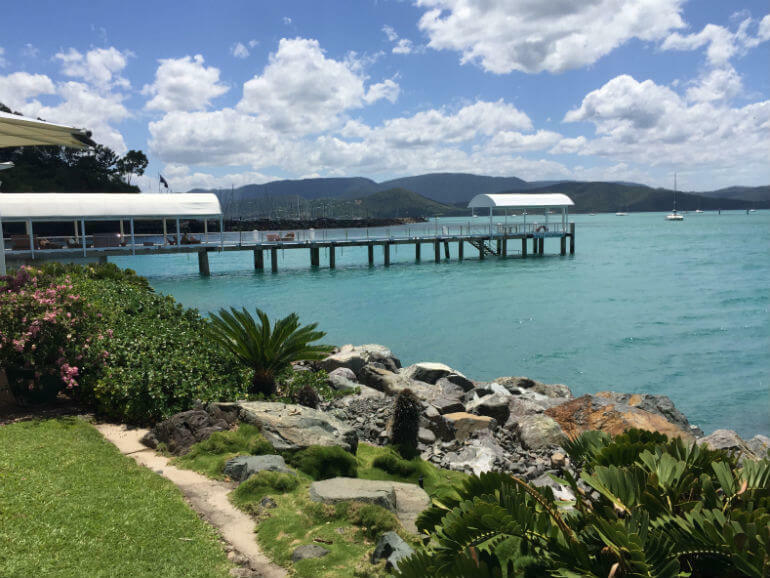 Airlie Beach is about 7 to 8 hours drive south of Cairns but plan on a little longer as there are heaps of places to visit on the way. The turn off to Airlie Beach is north of Proserpine, but if you miss it, the the main turn off is just as you enter Proserpine. From Brisbane it is about 12 hours drive and again there is lot to see in between. The main turn off to Airlie Beach is just as you are leaving Proserpine heading north. Greyhound have multiple services daily to both Airlie Beach and Proserpine from either Brisbane or Cairns. Premier runs daily services as well as Ozexperience. Queensland Rail has daily services from Cairns and Brisbane, to Proserpine with transfers to Airlie Beach. The Whitsundays is serviced by two airports one on Hamilton Island (HTI) and the other at Proserpine (PPP) with Shuttle busses and ferry’sproviding transfers to and from the mainland, pre-booking advised. Whitehaven Beach, 7 kilometres of white sand that squeaks underfoot. Surrounded by swirls of turquoise, blue and green water. Voted by some as the best beach in the world, come see for yourself. The best views of this magnificent beach and the just as beautiful Hill Inlet, is from Hill Inlet Lookout, a short walk from Tongue Bay Beach. Swim in the bays first or climb to the lookout first, decisions! Either way the two go hand in hand. 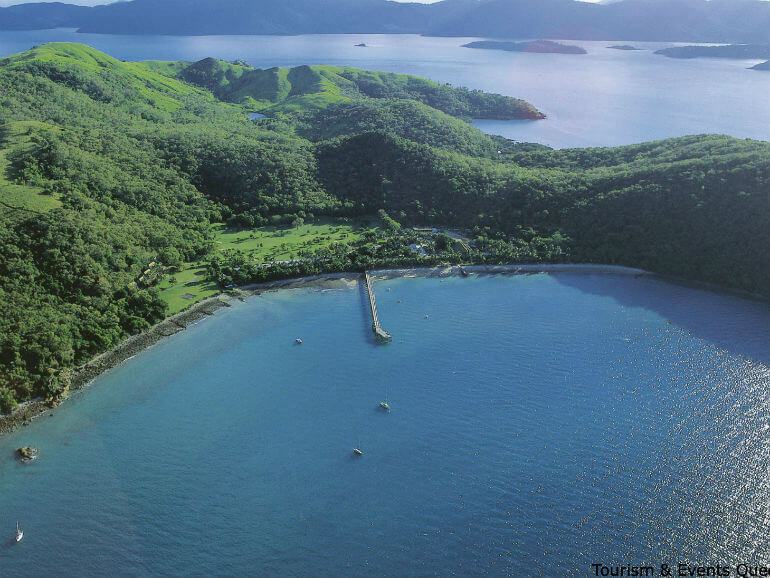 Nearby is the famous heart shaped island called Heart Reef, be sure to take a helicopter flight over it. These wonderful treasures of the Whitsundays are not to be missed and we promise they are as good, if not better, than the brochures. Australia’s spectacular Whitsundays is an archipelago of 74 unbelievably beautiful islands off Queensland’s central coast. Top 10 things to do – With islands offering turquoise blue waters, pure white beaches, lush tropical rainforests and colourful coral reefs, the Whitsundays is the perfect place to visit for those looking for a genuine tropical paradise. 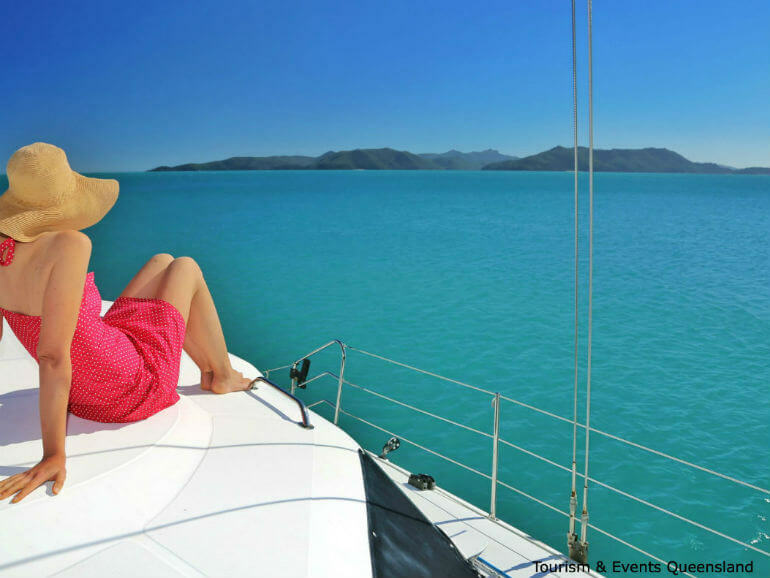 9 Unforgettable Whitsunday’s Experiences- We recently took a trip to Airlie Beach and the Whitsundays for 4 days which included a lot of adventure. I’m no photographer but the natural beauty of the Whitsundays makes it so easy! Review South Molle Island Tour– The minute we stepped foot on South Molle Island we loved it. South Molle Island in the Whitsundays is the picture of paradise with no shortage of activities, things to do and adventures to be had. To mark the 10 anniversary, in 2017, there is a half and full marathon on offer. Don’t be fooled the island course makes for one tough marathon. There is also a relay event and three flatter options for the children. Imagine the opportunity to run a marathon on one of world’s most beautiful beaches? Even if you are not up to the marathon there are also 5 klm and 10klm runs and three kids events. Transfers are from Port of Airlie. 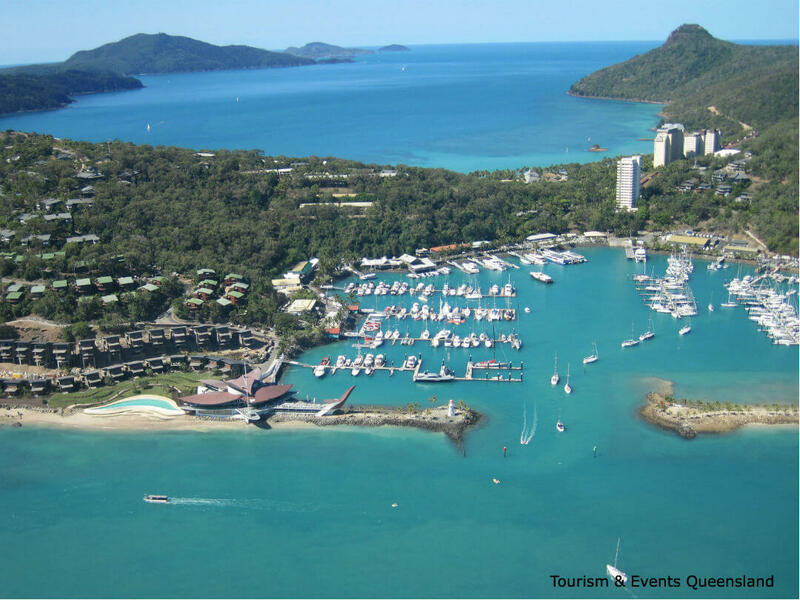 The Airlie beach festival of sailing is a fun week on and off the water and one of Australia’s premier sailing events. Aside from the competition there is a strong social atmosphere at this Festival of Sailing. This is Australia’s largest offshore keelboat regatta, and one of Australia’s favourite yachting events. For the social events leave the suit and ties at home, smart casual is the required dress code. 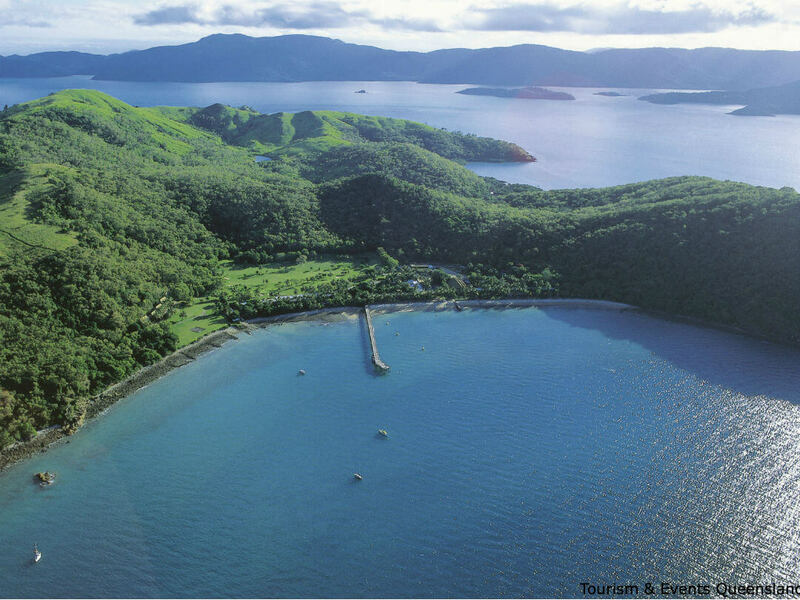 The Whitsundays, Australia’s sailing paradise, was created by nature so we could have a “sailing playground”. So many bays, coves, inlets, beaches, islands and not enough time! If you want a sailing holiday in the Whitsundays, there are different options but why not let someone else do all the work? All you need to do is swim, eat, admire the beautiful scenery and indulge in a cocktail at sundown. Sound like you? The crew know where the best lunch spots, sheltered bays, evening anchorage, and even the best swimming spots are! After all it is their back yard! Perhaps you might like to learn the basics of sailing, the crew will let you help. Fraser Island is the largest sand island in the world. It is also the only place in the world where a rainforest grows on sand. Is it any wonder it is World Heritage Listed. This is truly a unique island. A trip to Fraser is a must for true nature lovers. It has over 100 lakes on it, great beaches, loads of fauna, wetlands they call home and interesting flora. From Brisbane there are 2 day tours which take you to Fraser via the Coloured Sands and you will travel along 75 Mile Beach, an amazing experience in itself. Hamilton Island is the most developed resort in the Whitsundays, it has so much to offer right in the middle of paradise. The island has many different areas. You can discover Australian Native Wildlife at Wildlife Park, scenic lookouts await your camera. You can swim at Catseye Beach or one of the many pools. 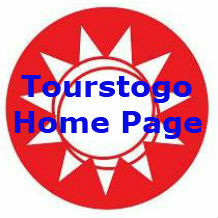 You can travel the island by golf buggy or shuttle bus. To keep you busy the island has shops, restaurants, art galleries and a marina. South Molle offers many activities. Most of the island is a national park with many trails to be explored. There are bays and sandy beaches for your relaxation. 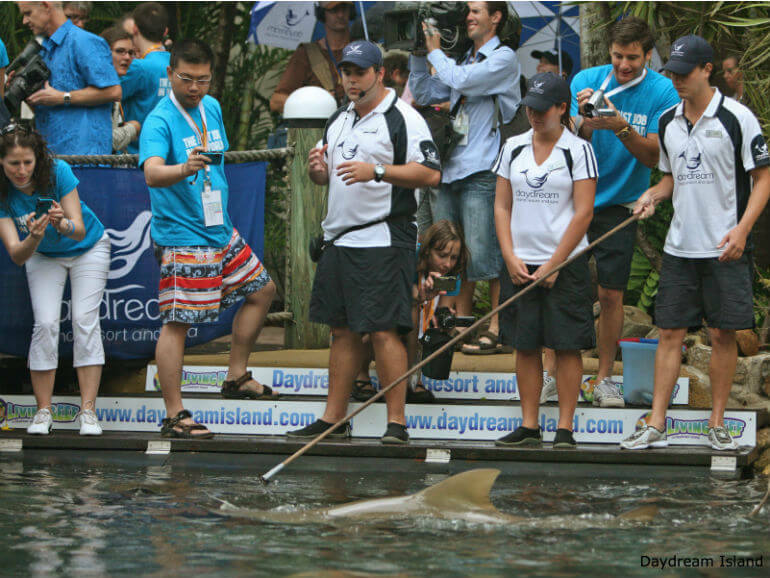 Daydream Island is closer to the mainland and also caters for day trippers. It is home to the world’s largest outdoor aquarium. With 80 different types of sea life and 50 different corals it is not to be missed. The island offers many activities on land and sea. There is an outdoor cinema and what a backdrop it has.